Masterfully written, the apostle Paul’s letter to the Romans clearly presents the many facets of God’s grace available to all, because all have sinned. 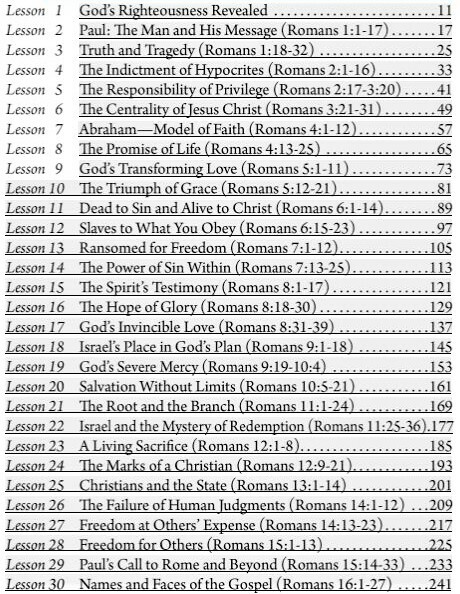 In this 30-lesson in-depth study, you will engage with transforming truths about who God is, what He has done, and why He loves us. You will discover the secret to living in the Holy Spirit’s power. 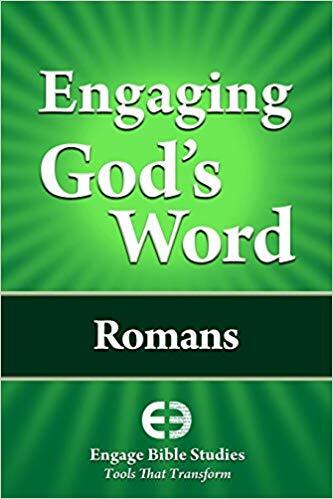 Engage Bible Studies connect you with the enduring truth of God’s Word. Come out of the clutter and clanging of our culture and discover the peace of meeting the God of the Bible in the pages of His Word. Engage Bible Studies take you verse by verse into the richness of the Scriptures in ways that impact your heart and illumine your mind. You won’t find dry doctrinal debates. You will find simple tools that cultivate your understanding and engage your heart. Tools for transformation. You also will learn how to apply God’s Word in your everyday life. You are beginning an incredible journey!